A bit of good news today, pardon the pun, for our blog and its direction. A small article has been published in today's Indian Express about this blog. I hope this will help to get more people interested in understanding more about, supporting and working for the development of our great city. Let me express my sincere thanks to Asha, who did the report and to all of you, whose support has made this blog and its purpose a success. Thanks, folks! While this is a step in the right direction, our purpose is far from fulfilled. In fact, in such gloomy days as these, our focus should be redoubled, for a better future! You are doing a great work!! Creativity at its best – this is all about Ajay’s voice-over. I’ve been to many blogs on various cities, most of them were excruciating. And, generally, as best as I can figure it, most of them failed because of the level of pomposity and lack of tact in the content. The bloggers in general twist the facts on cities claiming theirs to be too energetic, vibrant and highly prospective which for them means sounding like something that they’ve found on the internet or seen on television, but will be caught by real truth later. Maybe it’s impossible to guard against that enthusiasm, but I’d like to see blogs being realistic, logical and ingenious…. And, like I said, I’ve never been to such a simple and beautifully narrated script like http://tvmrising.blogspot.com till now. Believe me, this is different – Its the true perspective of a youngster, who is having his participation in almost all happenings of the city. I’m inclined to think, very soon, we should utilize him in any of our decision making body. Your blog has really made a difference in the way many of us think about our city..
All the best in your future endeavours too..
we r all with you! Very happy to see that your blog is becoming constructive tool for real action. 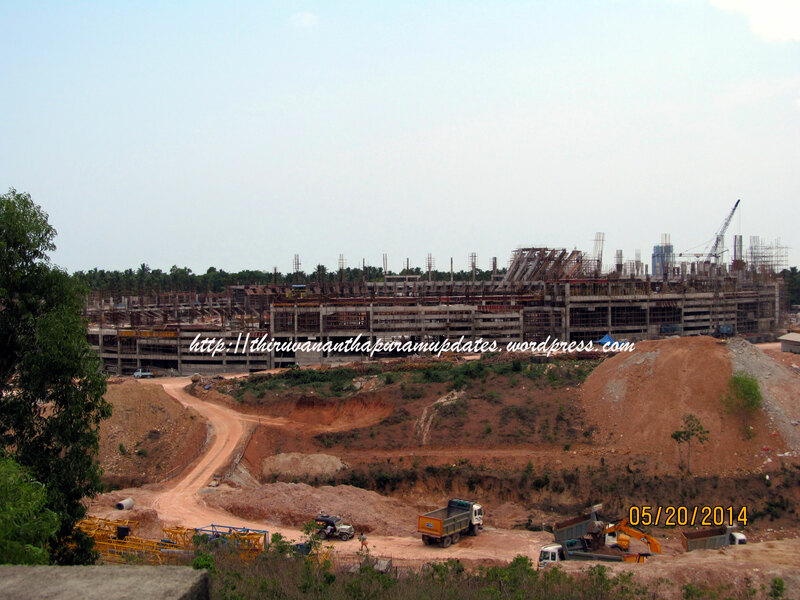 BTW what is happening to Vizhinjam? I sincerely hope that project takes off asap and changes the face of whole of Kerala for the better. I search the net often to know more on the progess of the various projects going on in this wonderful city and it's during one of such searches that I came across your blog and I must say follow it religiously ever since! I was happy to see your blog and your efforts to promote our great city as I share the same love , enthusiam and hope on the progess of this city and the people of this city.I understand there is a lot of negative impression about this city and the people of this city which i think is absolutely untrue and baseless and I say this as a person who has lived abroad and travelled to various places in kerala. I have noticed these kind of comments are made by our malayali friends in the central and northern parts of kerala.. but I don't understand why??? But I'm sure the tables will turn and these very same people will come to realise the beauty of this great city! Keep up the good work! And, God bless Tvm! Someone pls give Ajay a ticket to contest in Tvm-North. What-say what-nah? Kazhakoottam is the new North. Why not the loksabha seat though?